Super nice indoor or light outdoor jacket, with drapes. 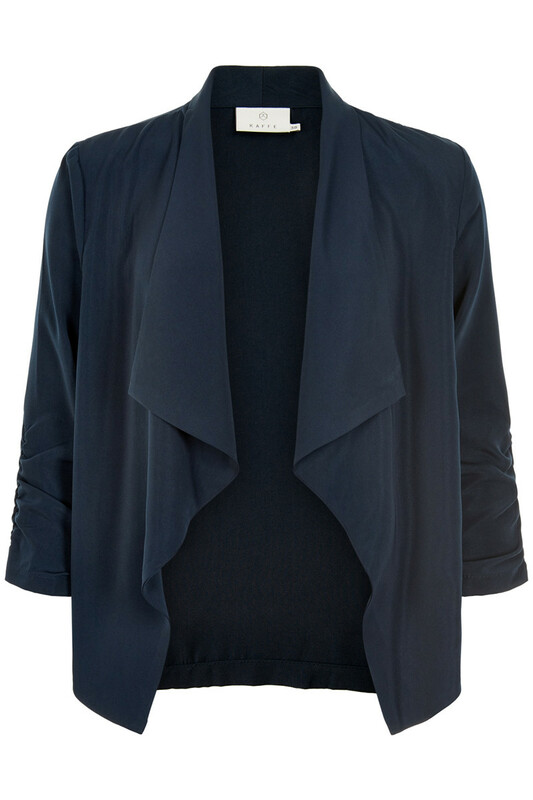 The jacket has 3/4 sleeves and loose collar detail. The jacket is classic, but with simple details. There is a lot of choice with this nice jacket, as it is both possible to style it in a raw look, but also in a feminine look - and it can certainly be used for both everyday use and festive occasions.